Sustainability and energy efficiency are not just passing fads, they are becoming a way of life – trends that are clearly here to stay. And we at SPC Construction are glad! So glad, in fact, that we wanted to share the top three ways to make your roof more energy efficient in 2018 and beyond. An energy efficient roof is actually a win-win for both you and the environment, as it is equipped to not waste energy, which in turn saves you money. This can mean it better holds in your house’s heat in the winter. Or protects your cool air in the summer. Or even works with the elements instead of against them. So, without further ado, here are SPC’s top 3 ways to make your roof more energy efficient. And don’t forget, if you need any help making the energy efficiency leap, we are here for you! 1. Lighten Up – No, Really! 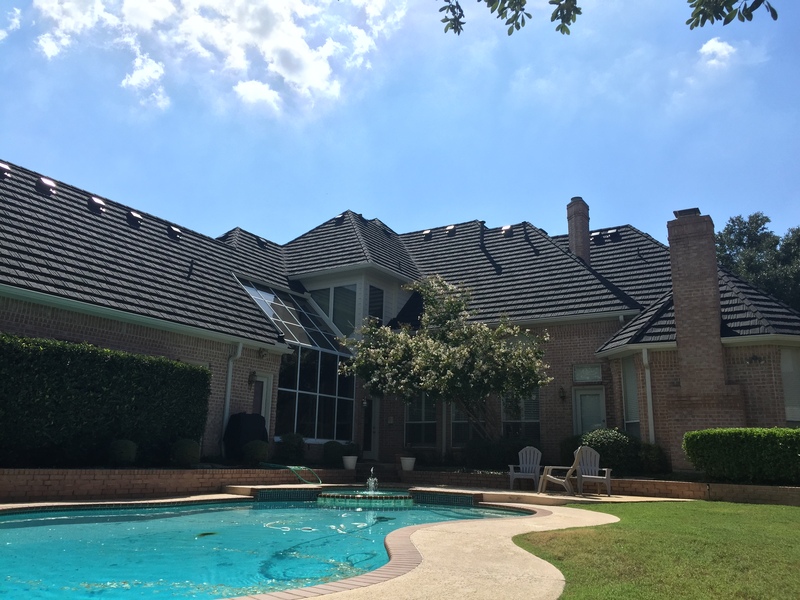 This may seem like a simple solution, but actually, lightening the color of your roof and opting for a ‘cool’ roof can lower your roof’s temp by over 60 degrees on a hot day. Think of how much easier that’ll be on your AC system! Now, of course, you can get a new roof with a cooler color whenever you need to replace your old roof, but what if you just got a new roof? Do you wait until the next time around and eat the energy bills until then (possibly making you pay 30% extra)? You can actually coat your current roof in a lighter color at a low cost, and then watch the savings roll in. If you are getting close to the ‘new roof’ time for your home, then consider one of the awesome energy efficient options out there! It could decrease your family’s energy usage (and therefore bill) by over 30%. This means an energy efficient roof can pay for itself in a matter of months! Your options include lighter colors, new materials, or even using a radiant barrier that will reflect heat into your home in the winter, instead of holding it. You can also consider green options to further your home’s move into the future, and a healthy future at that! Consider a green and stylish metal roof, or even an eco-roof or living roof for a bold look that loves the Earth, too. If your roof is your house’s hat, then just beneath that is your head. And just like the human body, a lot of your heat is lost from your noggin. Try to save that energy and money by insulating under your roof. This keeps your temperatures much more regulated and therefore can make your roof that much more energy efficient, as well as helping your temperatures. Look at your climate before choosing what insulation technique you will pursue, as there are many options. Don’t quite know which is right for you? Ask SPC Construction and Roofing – we’d love to help you make your roof more energy efficient! Recent studies have shown that with proper insulation and light-colored roofs or weatherized coatings, air conditioning isn’t even needed until temperatures soar, even up to 100 degrees. Think of how helpful that would be for you in Texas! If you want to learn more about how to be energy efficient, both for your wallet and the Earth, give SPC Construction and Roofing a call today. We can’t wait to work with you!